Has the state of Oregon looked at cap-and-trade options, or thought about enacting a carbon tax? What targets has the state established? What are alternative scenarios for the state’s future emissions? 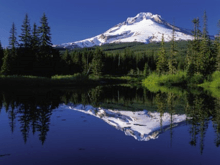 If you are looking for a comprehensive set of resources about U.S. state level policy using Oregon as a case study, our Climate Change and Oregon Knowledgebase is for you. This Knowledgebase is the downloadable version of our Topic Map Mapping Oregon’s Climate Knowledge, which is available for online access at $49.99. If you like what you see in the Topic Map, you can purchase this Knowledgebase for download to your desktop for just $149.